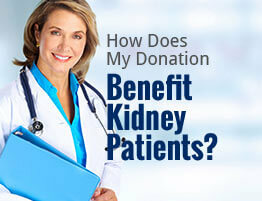 American Kidney Services is dedicated to helping residents of Atlanta, GA, and the surrounding areas learn how to donate wisely. Whether you want to donate a car, make a monetary contribution, or donate used items like clothes and housewares, it’s important to know that your donations are doing as much good as possible. For some tips on how to donate, what to donate, and where to donate in the Metro Atlanta area, please feel free to browse our informational articles.